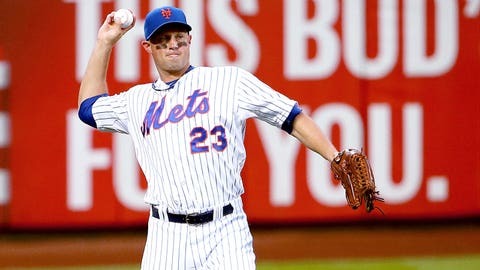 Michael Cuddyer surprised even his teammates with his decision to retire. Michael Cuddyer shocked the baseball world over the weekend, announcing his retirement on The Players’ Tribune. He chose to retire in the middle of a two-year contract with the New York Mets and was due to be owed $12.5 million in 2016. "Of course you’re surprised by it. Very rarely do you see a player that feels as strongly as Michael does about not just the injuries taking their toll, but also as far as a strong family man that Michael is — I mean, he just wanted to be around his kids more. It’s as simple as that. He’s very close to his wife and his three kids, and I think there were things that he felt like he was missing out on, and those things outweighed playing baseball. "I think now is about the time in the offseason when players start getting that itch again to get ready for spring training. I’ve asked Michael numerous times, ‘Are you sure? Are you sure?’ And he just knows that it’s time because he just doesn’t have that itch anymore." Cuddyer won the batting title with the Rockies in 2013, slashing .331/.389/.530, but has battled injuries the past two seasons, appearing in 49 and 117 games in 2014 and 2015, respectively.